Is it a good idea to stay overnight near Namtso Lake? It is a question frequently asked by many travellers. 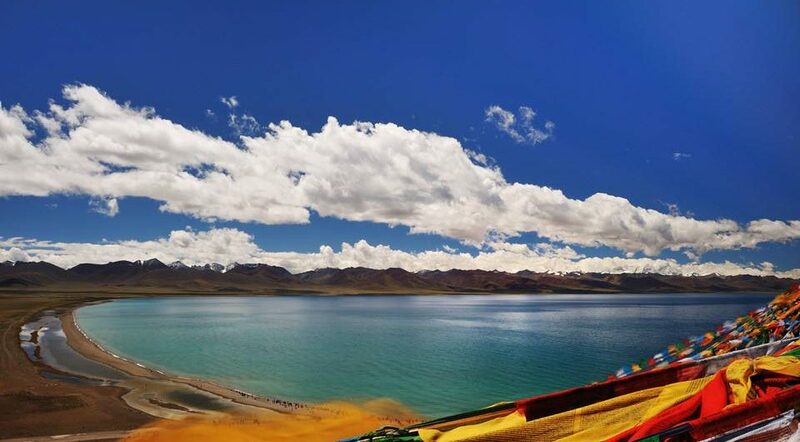 As a local Lhasa travel agent, it is hard for us to give you a simple YES or NO answer because we’ve heard very conflicting feedback from our clients — Some say to stay overnight near Namtso Lake is heaven, totally worth it. Others complaint and call it a terrible experience… Well, I suppose essentially it depends on what kind of person you are and what you value more from your travel. Below Tibet Ctrip Travel Service Team provide you a fair sum-up of the Pros & Cons of staying overnight near Namtso Lake without prejudice or judgment. A simple list of facts to help you weigh the decision you are about to make as whether or not to stay overnight near Namtso Lake. Is it a good idea to stay overnight near Namtso Lake? Accommodation Options in/near Namtso Lake? There is very little options of the accommodations at Namtso Lake. No hotel was built here due to environment protection concern. The ‘guesthouses’ here are made of tabernacles and tents, concentrated at a corner of Namtso lakeside, called Tashi Byland. This kind of guesthouse is usually opens only from April to late October, the warmer part of the year. None of them have guestrooms with private bathroom nor air-conditioner. Dorm bed or twin room are most commonly available. It’s cold at Namso Lake all year long. If you plan to stay overnight here, down jacket is must, regardless which month of the year, even in the hottest summer month of August. Another option is to stay the night at Damxung county. Damxung is about 60km away from the lakeside of Namtso, and takes about 1 hour of driving. Damxung, literarily means ‘select pasture’ in Tibetan, has one or two decent hotels available. But hotel here is usually more expensive than the same standard one in Lhasa, due to shortage of goods and supplies, which is understandable. Among the most popular hotel in Damxung are Damxung Baima Hotel or Damxung White Horse Hotel. Damxung Pe Ma Hotel, has been opened since 2005 in center of Damxung county. Damxung White Horse Hotel is rated as 3 star by local standard, and has 100 guestrooms, such as standard room, deluxe standard room, and deluxe suite. One man’s meat is another man’s poison! Your travel choices, simple as whether or not to stay the night near Namtso Lake, reflects one’s personality and preference. Not a choice between good & bad, it’s just different. Hope this article plays a little part in helping you with your Namtso tour planning. Should you have any other questions about Namtso tour, please feel free to contact us.